The successful candidate will hold a PhD at the time of appointment in information systems or a related discipline. A Commerce or MBA educational background is preferred. Candidates should have experience teaching small and large classes, teaching with cases, and be able to demonstrate pedagogical innovation that enhances the student experience. The successful candidate will possess excellent teaching/classroom skills and will be expected to contribute to the School’s academic programs at both its Hamilton and Burlington locations. Evidence of excellence in pedagogical research and/or adult instructional skills training are assets. Successful candidates will be expected to teach undergraduate and graduate information systems courses, including, but not limited to, topics such as project management, eHealth, and eStrategy. A minimum of 5 years university teaching experience is preferred. Successful candidates will demonstrate a successful track record in program administration and curriculum development. The successful candidate will also be expected to contribute to curricular development within DSB, and enhance the quality of teaching through peer mentorship and teaching assistant training. Salary is commensurate with experience. The Information Systems Area is committed to excellence in both research and teaching, and is one of eight Areas comprising the DeGroote School of Business. The School offers a number of programs at both the undergraduate and graduate levels. The Information Systems Area participates in these programs in a number of ways, including the Commerce and MBA programs, the Certificate in Business Technology Management, the eMBA in Digital Transformation, the MSc in eHealth, and the Ph.D. field in Information Systems. More information about the School can be found at www.degroote.mcmaster.ca. Dr. Brian Detlor, Chair, Information Systems Area, DeGroote School of Business, McMaster University, 1280 Main Street West, Hamilton, Ontario, Canada LMS 4M4. 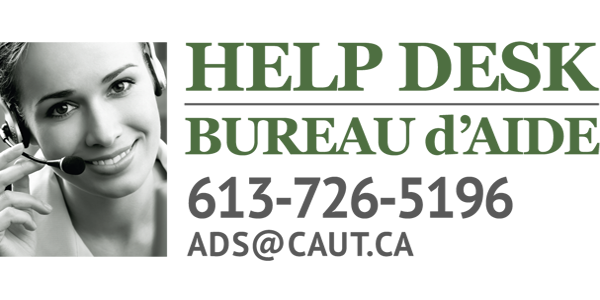 Email: detlorb@mcmaster.ca; phone: (905) 525-9140, extension 23949. Candidates should submit a cover letter, statement of teaching and possibly research interests, curriculum vitae, evidence of teaching effectiveness, and the names and contact information of at least three references. Nations and, within the lands protected by the “Dish with One Spoon” wampum agreement. In keeping with its Statement on Building an Inclusive Community with a Shared Purpose, McMaster University strives to embody the values of respect, collaboration and diversity, and has a strong commitment to employment equity. The diversity of our workforce is at the core of our innovation and creativity and strengthens our research and teaching excellence. The University seeks qualified candidates who share our commitment to equity, diversity and inclusion. While all qualified candidates are invited to apply, we particularly welcome applications from women, persons with disabilities, First Nations, Métis and Inuit peoples, members of visible minorities, and LGBTQ+ persons. Job applicants requiring accommodation to participate in the hiring process should contact the Human Resources Service Centre at 905‐525‐9140 ext. 222‐HR (22247) or the Faculty of Health Sciences Human Resources office at ext. 22207 to communicate accommodation needs.